Know more regulations on animal abuse. Some of the animal is human’s best companion, but some of the people choose to torture these small animals, inflicting harm and severe pain on them. It is understandable that some of us are trying to tame an animal, while some have used extreme methods to ensure that these animals are being tamed. In Singapore, the authority and animal activist are very against pet cruelty and heavy fines has been imposed for those guilty of animal cruelty. The authority that are governing the pet cruelty in Singapore is Agri-Food and Veterinary Authority (AVA), binding at Animal and Birds Act. Below is a video by RazorTV to feature on Animal Cruelty. 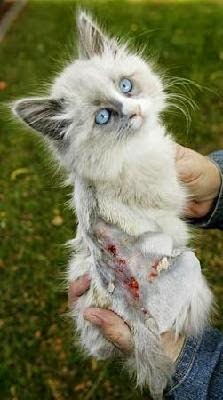 Anyone convicted of animal cruelty, an offender can be fined up to S$10,000 and/or be imprisoned for up to 12 months. There is an exclusive case that happened just recently in England. Radoslaw Artur, a Polish immigrant was charged with eleven counts of animal malice and also with the comtempt of misleading police investigation. The convicted has to pay $500,000 on bail and has to spend 55 years in jail, charged with five years prison for each count. Moreover, the court has attached a $5 million surety bond condition to his bail. Check out the full story here. Looking to Join Forces with Singapore Animal Rights Activists ? If you are looking to protect these little animals from animal abuse, below are two of the more prominent animal activists group in Singapore that you may wish to join. Society for the Prevention of Cruelty to Animals, Singapore – They have been existed since 1800s to aid in the help of poor animals and was one that has proposed to Singapore government to increase fine penalty from previous $500 and 6 months jail term to a S$ 10,000 fine and one year jail term. Animal Lovers League (Pets Villa) – Pet Villas was opened on 15 Feb 2004 to rescue strays dogs and cats, giving their a place called home. The non-profit organization provides lodging, food and proper care to these animals through a network of dedicated volunteers who helped out with everyday cleaning and upkeep of the place.